Through Nov. 25, OMVIV counted seven all-in price advertising breaches and 27 discipline decisions. 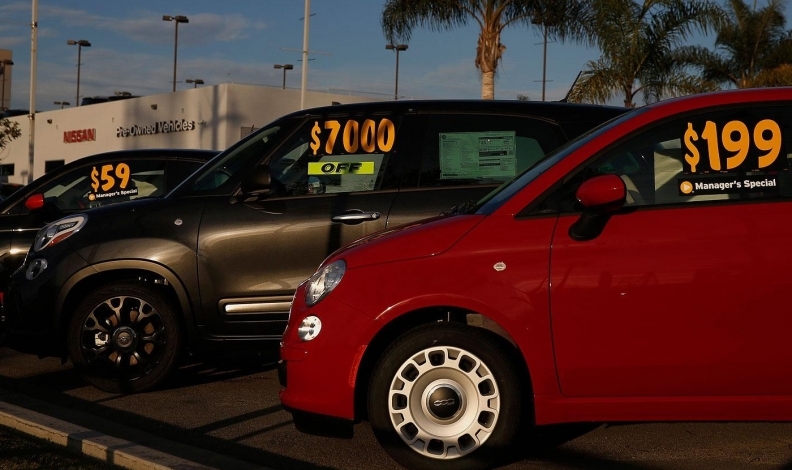 New-car buyers in Ontario are becoming more aware of the province’s all-in pricing law, says the provincial regulator of motor vehicle sales, but those not in the know far outnumber them still. An ad campaign and survey conducted by the Ontario Motor Vehicle Industry Council in September and October found consumer awareness of the law has increased to 33 per cent, up from 19.7 per cent in 2014, when the council conducted its first all-in ad campaign and sruvery. Ontario introduced all-in pricing in 2010. By law, the advertised price for a new or used vehicle being sold by a registered OMVIC dealer must include all fees and charges the dealer intends to collect. The only additional money a dealer can charge is HST and licensing fees. OMVIC started a televised consumer awareness campaign on Aug. 29 for 10 weeks, and another online for 11 weeks. “The reasoning behind the messaging is multifaceted. Firstly, consumers who are aware of their right to all-in price advertising understand that dealer price representations are transparent, and this builds trust in the industry,” OMVIC spokesman Terry O’Keefe said in an email to Automotive News Canada. “It also creates a level playing field for all dealers,” a win-win for all parties. All-in pricing laws exist in Ontario, Alberta, Manitoba, Saskatchewan and Quebec, which requires one final price in all advertising, not just for the auto industry. In British Columbia, all fees must be disclosed in the ad, but not in one final pice. O’Keefe said, OMVIC reported a steady increase in complaints from consumers –likely due to increased awareness – and from dealers about non-compliance with the all-in price advertising laws. Dealer complaints are the most common, O’Keefe said. Through Nov. 25, OMVIC counted seven all-in price advertising breaches and 27 discipline decisions. 2015: 33 all-in price advertising breaches, 79 total discipline decisions. 2014: 19 all-in price advertising breaches, 64 total discipline decisions. 2013: 22 all-in price advertising breaches, 59 total discipline decisions. All decisions are posted on the OMVIC website. “While OMVIC has seen improvement in compliance rates in most of Ontario, the fact remains, non-compliance with the all-in price advertising regulations remains a concern,” O’Keefe said. An advertisement is defined as any inducement to buy or lease a vehicle. This would include, but is not limited to: ads in print; online, including social media; broadcast and signs. Examples of fees or charges that must be included in an advertised price: freight; pre-delivery inspection; administration fees; government levies, such as air tax; fees for safeties and Drive Clean tests. If a dealer intends to charge for products or services they have pre-installed on a vehicle, such as warranties or fuel, those costs must also be included in the advertised price.